Important Update to 1/8th Rally cross Championship - Please Read. Regarding all other round these will stay as is, the next meeting up sees the championship series heading to Cork on July 14th + 15th. The RCCAOI 1/10 Electric Off Road National Championships commenced on May 27th hosted by the DMCC. A new track layout was organised just a few weeks before Round 1. It was a tough layout where being on the racing line was key for quick yet consistent laps. Thanks to the DMCC team for organising a fantastic, well-run event. Round 1 saw Dylan stamp his authority by being the only driver to turn 18 laps. Denzell, Alan and Adam were all chasing hard but with improvements needed! Almost identical times kept Dylan and Denzell in the 1-2 position for Rd 2. Bradley moved up to 4th just 2s off Alan so the pack was beginning to tighten up. Round 3 saw William improve consistency and take a good 2nd but Dylan was still out front and the only driver qualifying with 18 laps. Only 2s covered 2-4th so the finals were set up for some close racing. Gary Hunter set the pace in Rd 1 with Miron 2nd and Robert Regan 3rd. Gary kept the pace high in Rd 2 and was lapping good enough to compete in the modified class. His car and lines were looking good! Robert Regan improved for Rd 3 but just couldn’t quite catch Gary. Dylan was out front again but some mistakes prevented him from showing his full speed. Denzell took 2nd from a hard charging Will by just 2s. A mistake on the last lap of the heat in Rd 2 saw Denzell take the win from Dylan by less than by 0.5s. So heat 3 set to decide TQ. An 18 lapper from Dylan proved he could handle the pressure and duly took TQ with Denzell 2nd and Will 3rd. Heat 1 was a very close race with Alan just pipping Graham by 0.5s. A few extra mistakes in Rd2 by the field allowed Alan to take the win and TQ. Alan won again in Rd3 but this time it was much closer as he had only 1.5s spare to Graham. Marcin’s best lap times improved so some consistency and it could be a 3 way race in the finals! Dylan kept his form from qualifying and led from start to finish to take the first leg. Denzell was working hard holding off Alan but eventually the mistake came and Alan went through and held on for 2nd with Denzell just 2s back. Good starts for Dylan and Denzell meant they were able to hold on for a 1-2 in Leg 2 with Dylan winning the overall. Alan made the best recovery coming back to 3rd from last after a 1st lap incident. The first half of Leg 3 was between Denzell and Alan to see who would take 2nd overall. Luck was against Alan with an unfortunate crash that would put him out of the race. Denzell took the win and 2nd overall. Colin drove a great final to take 3rd spot from 8th on the grid. Leg 1 was a close race with the lead changing several times between Gary and Miron. Eventually Gary took charge to hold off for the win. 3rd was even closer with Robert and Chris have a great battle. 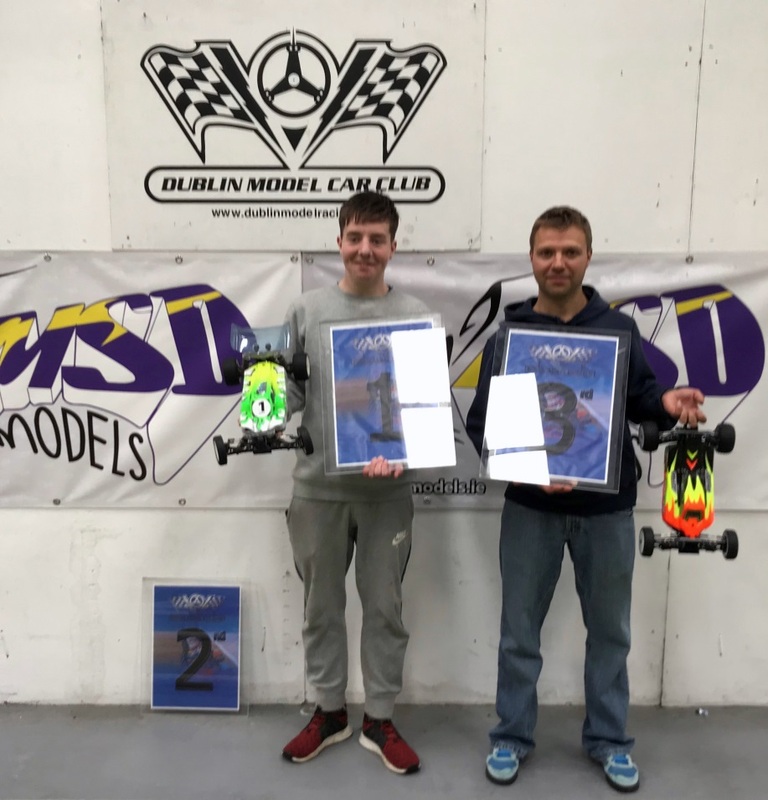 Robert took 3rd from Chris by just 0.26s – Great Racing! Leg 2 saw Gary settle down and take a more comfortable win from Miron and Chris in 3rd. Leg 3 saw all 5 drivers make clean starts and no-one swapped position for the entire race! 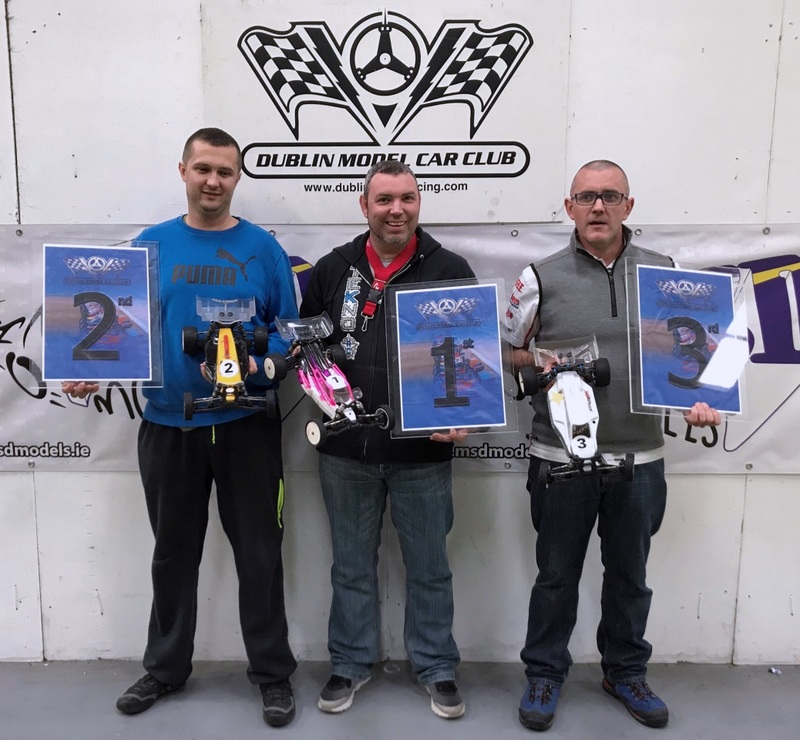 Final results were Gary – 1st, Miron – 2nd and Robert 3rd. Dylan drove a faultless race in Leg 1, turning in an 18 lap result that no-one got close to! Denzell and Will had a great race for 2nd with Will grabbing 2nd 2 laps before the finish! Dylan did the same in Leg 2 to take the overall. Will and Denzell had another close race with Denzell making a mistake on lap 14 – allowing Will to take 2nd. Dylan didn’t need to race in Leg 3 so the opportunity was there for everyone to improve their scores. 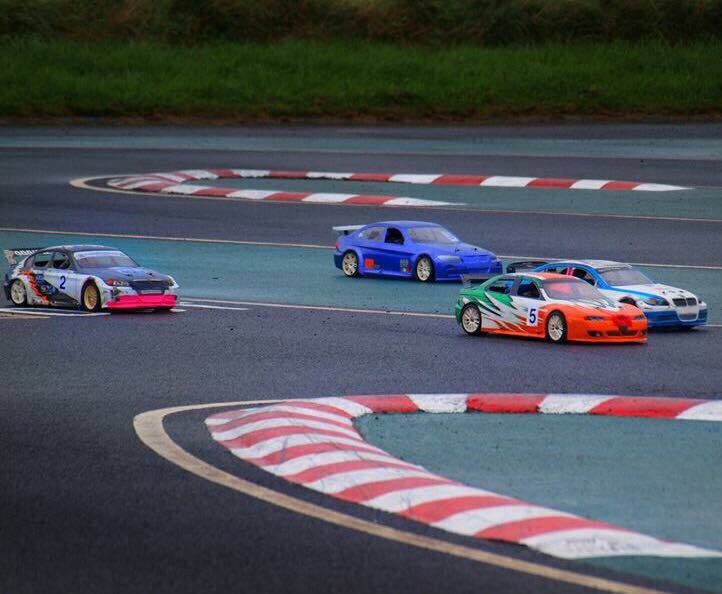 Will would capitalise on this and took the lead on lap 1 and held on for the win from Denzell. Colin took 3rd in the final leg. 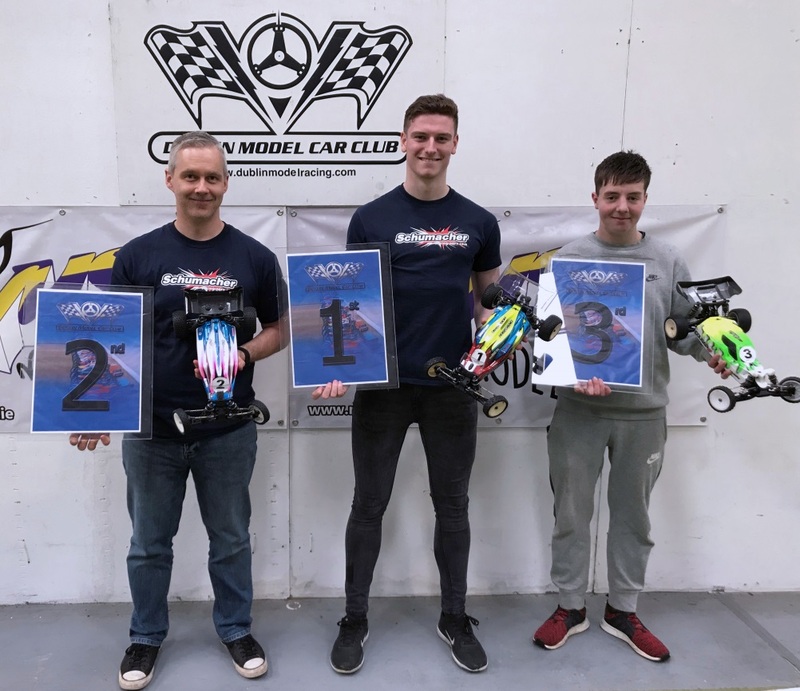 Final results were Dylan – 1st, Will – 2nd and Denzell 3rd. Leg 1 saw Graham make a mistake in the first lap, letting Alan race away to take the win. Graham came back up to take 2nd from Marcin. Alan was dominant in Leg 2 to take the overall. There was a good fight for 2nd with Graham eventually taking 2nd from Marcin by just under 2s. Just to prove his point, Alan took another solid win in leg 3 from an improving Marcin. 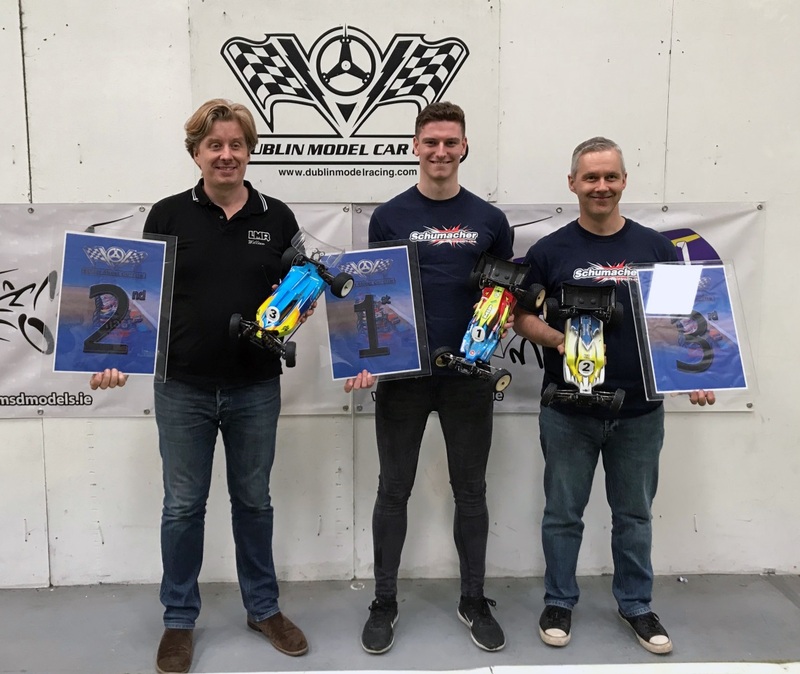 Final results were Alan – 1st, Graham – 2nd and Marcin 3rd. The Naul track was technical and demanding as usual. It definitely produced some great racing and was a great start to the 2018 National Championships!